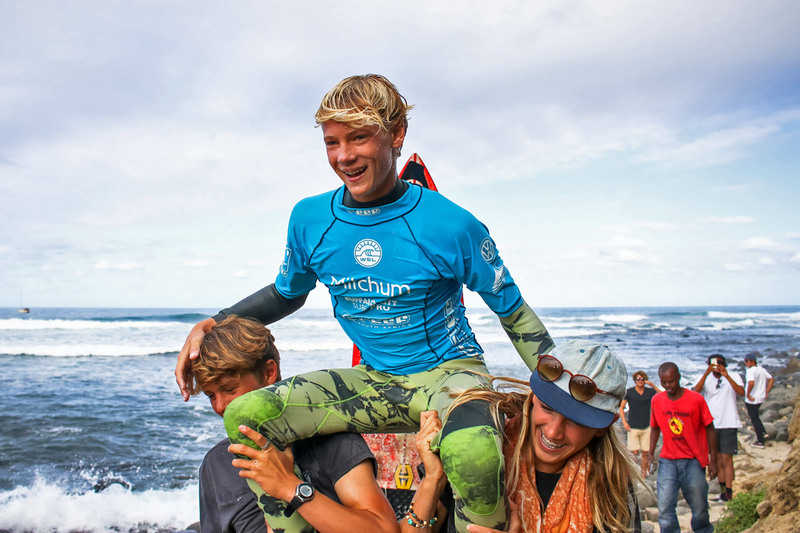 Cranking Nahoon Reef gave the Men's and Junior Men's events a big sendoff at the Mitchum Buffalo City Surf Pro presented by Reef Wetsuits yesterday. Dale Staples (St Francis Bay) and Luke Thompson (Durban) revelled in the conditions to win maiden titles in the Qualifying Series (QS)1,000 rated men’s and Junior Qualifying Series (JQS)1,000 rated events respectively. 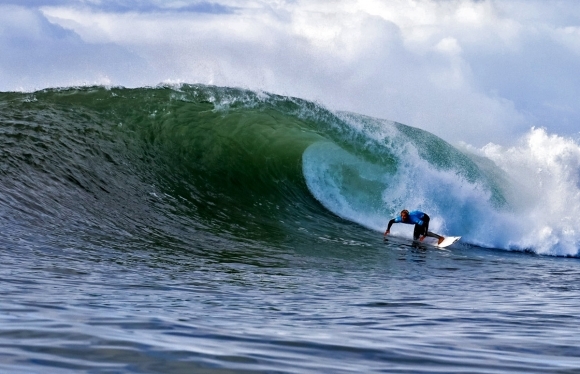 A pumping 6ft swell at Nahoon Reef produced the ideal canvas for the country’s top surfers to perform their magic. 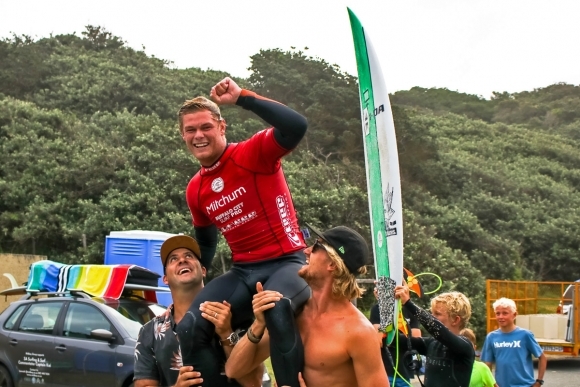 After having to wait out a lull in the waves that saw the men’s final restarted after no rides were had in the first 10 minutes, Staples raced into a commanding lead in the final, tearing his first wave apart and being rewarded with an 8.50 from the judges, before adding a 7.0 minutes later. His opponent Matt McGillivray (Jeffreys Bay), the highest ranked South African in 10th place on the QS leaderboard, was left needing a massive 15.50 points before he had even caught a wave. Uncharacteristically, McGillivray fell victim to a priority interference error that penalised him the full score of one of his two counting rides and effectively banished him to the runner-up spot. Staples eventually ran out the winner by 15.50 vs. 5.00 to claim his first WSL event title and, even though he claims that he is no longer a full-time competitive surfer, he moves into the top 5 on the WSL Africa rankings list.